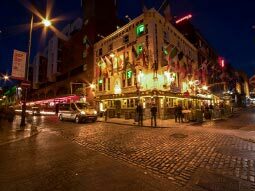 Playing host to more bars and clubs than the whole of the Temple Bar, this nightlife area is Dublin’s biggest. This large area spans a large chunk of the city, and boasts more bars and clubs than even the huge Temple Bar. 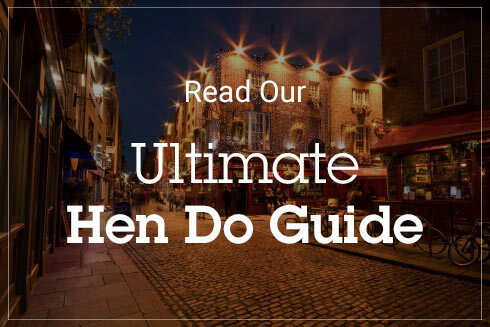 It’s also way more high-end and premium than the tourist-heavy Temple Bar, with opulent bars rubbing shoulders with more superior and elegant souvenir shops, meaning it’s a magnet for sophisticated hen parties. 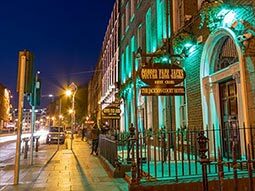 Often considered the true ‘centre’ of the city, this nightlife district encompasses not only Baggot and George Street, but Grafton Street (of Galway Girl fame…) and Dawson Street, too. This ‘strip’ is up there with the most popular in the whole of Dublin, seeing as many people per square foot pass over its threshold as the Temple Bar. As far as retail therapy goes, you’ll be able to stock up on souvenirs and Irish postcards from plenty of shops here – letting the people back home know you thought of them whilst downing those Guinnesses. 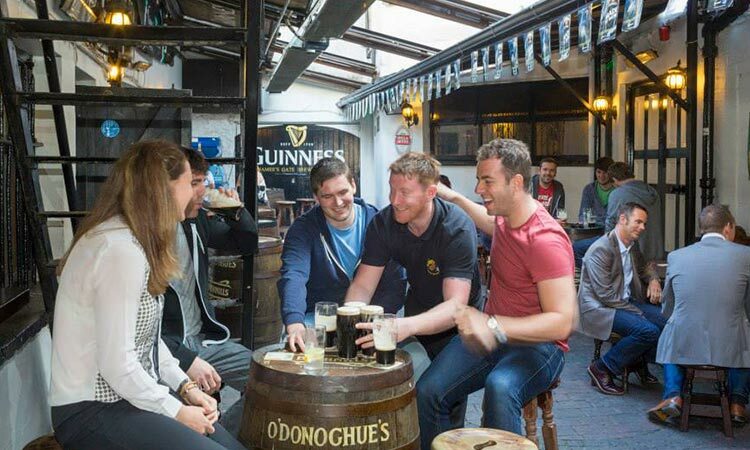 From Baggot Street, To George street and everywhere in-between, here are the top 10 bars to make your hen party pit stops in. This three-storey Georgian townhouse has an inviting panelled ground-floor bar and a restaurant up the spiral staircase. 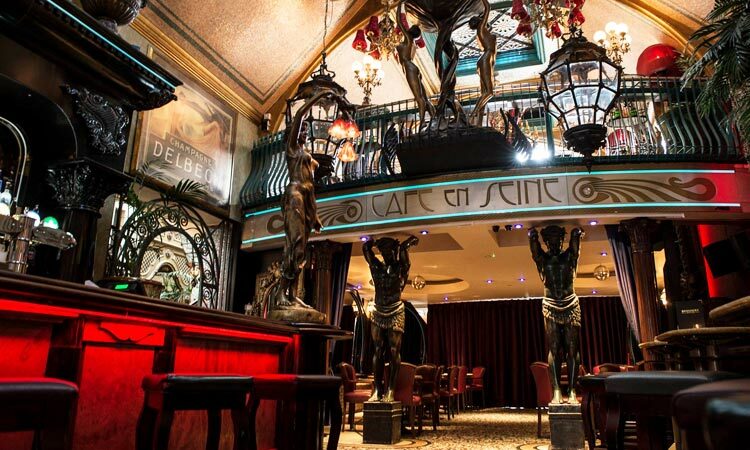 The French-inspired, Moulin Rouge style venue is not just a cocktail bar, but a cocktail experience. Think dark wood, fringed tables, guilded portraits, plush red drapes and lavish, quilted seating, mixed with a dash of drinks from an 1800s inspired menu. 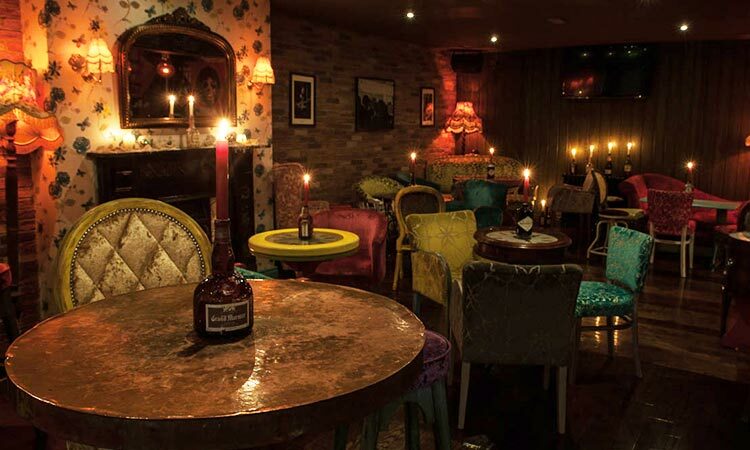 We’d personally recommend the ‘dirty den’ of debauchery’s Tequila Mockingbird and Smells Like Teen Spirits cocktails, puns you’ll appreciate even more after a few bevvies. You’re sure to feel very at home here, and not just because of the name. 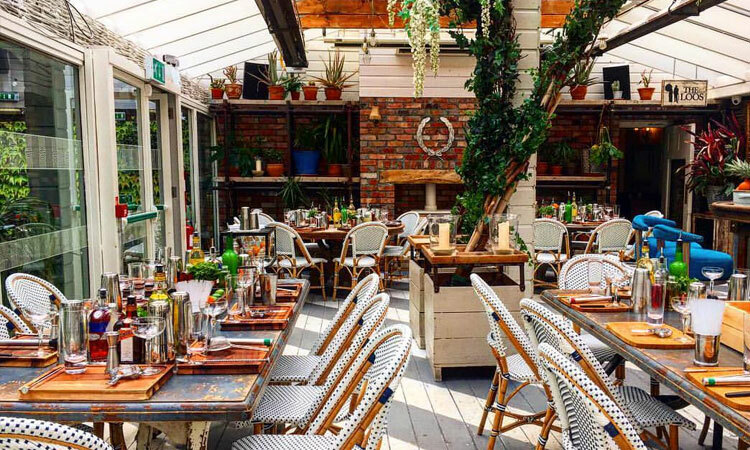 This expansive property occupies two Georgian Townhouses between The Grand Canal and St Stephen’s Green, and boasts a seriously glamorous, luxurious, yet relaxed feel throughout, with exposed brickwork walls, peaceful, warming log fires and olive and citrus trees lining the walkways. House also offers an impressive drinks menu, with classy cocktails and even bottles of wine reaching whopping prices of up to €800.00. This one’s your round then? 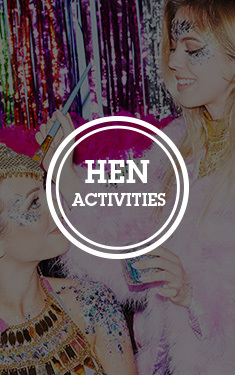 Add a spark to your hen weekend in Fire Restaurant and Lounge. 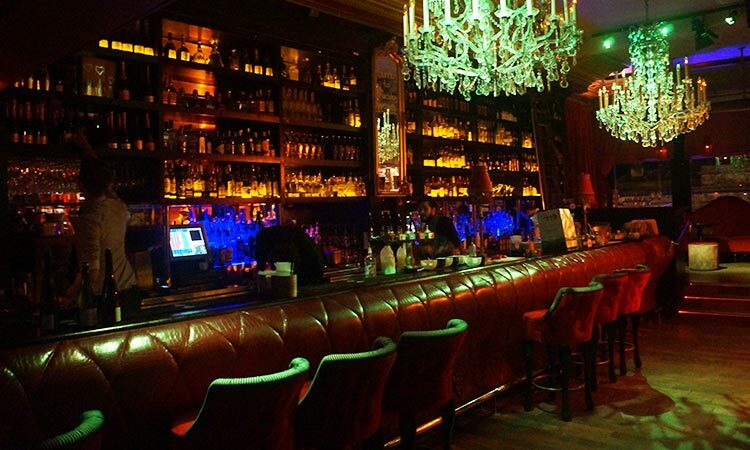 One of Dublin’s most highly rated cocktail bars, Fire Lounge, is set in the St Stephen’s Green and Dawson Street area of Dublin. With impressive stained glass windows and vaulted ceilings, this sleek bar’s interiors match its quality drink and food menus. With delicious alcoholic offerings like Organic Bloody Mary and Toast and Jam available, all your cocktail based desires will be met when drinking here. Lillie is the sort of girl you want on your hen do; she’s sophisticated, devilishly dignified, but ready to party hard. Nestled at the bottom of Grafton Street, this bar is seriously high-end; the sleek, deep red interiors and chandeliers of the bar’s VIP areas will make you feel like proper celebs, and you wouldn’t be alone, as this place has even seen the likes of Rhianna and other A-listers grace its doors. You can even indulge in premium cocktail mixology workshops in Lillie’s hugely famous ‘Laboratory’. For none less than three floors of quirky Irish capers and alcohol happily flowing all day long, get yourselves to Foley’s. 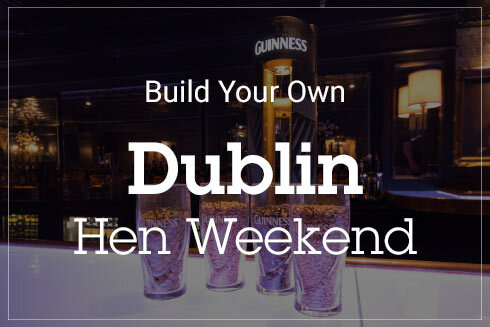 There are four different areas for your hen party to hang out, including The Kitchen, with tasty Irish meals and Reilly’s Bar, with equally delicious food but more live music sessions. The Hub is for sports fans, with giant screens playing all of the biggest games, and The Loft, where artists can showcase their work and you can pretend you’re a little bit cultured. 37 Dawson Street is no ordinary bar, which you’re soon to find out. The quirky interiors feature vintage padded seats, edgy lighting and unique sculptures, posters and paraphernalia adorning every surface in the whole place. If you picture a 1920s speakeasy, propelled into the present day, you’ll get an idea of what you’re in for when hosting a hen party here. 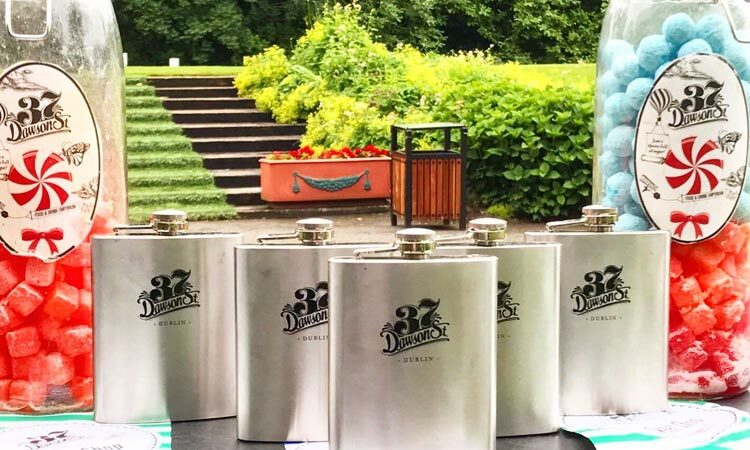 Along with a glorious range of specialist cocktails, there’s also a hand-picked selection of 37 (no coincidence) different whiskies, all served in opulent cut glass by expert bat tenders. 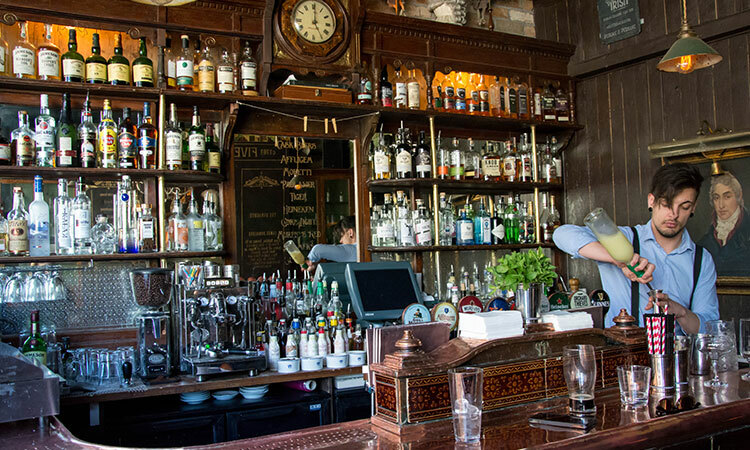 Despite its tres chic Parisian, this bar is in fact a Jameson’s award winning spot, which would easily please your Mother-in-Law to be, as well as your 18 year old cousin. 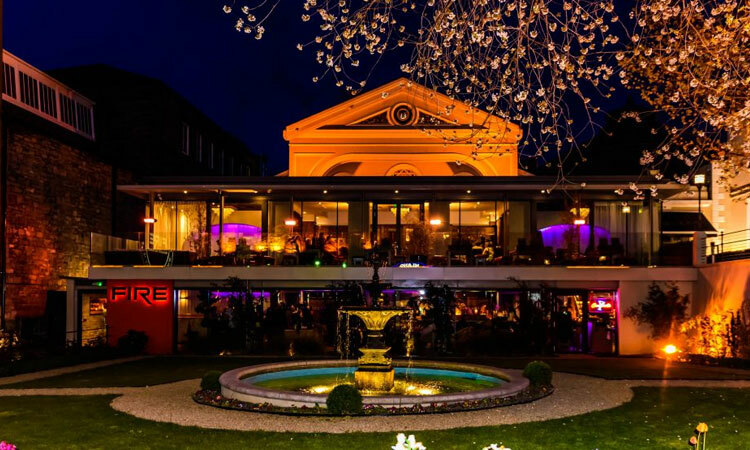 The building in which Cafe en Seine is housed is part of the Dublin foundations; having historically spent many years as a dressmakers, a brothel, a surgery and even the home of the Irish Government. Here’s an interesting one for you – a six foot tall Amazonian woman was held as a French prisoner of war here in 1798, and she was said to have been the inspiration behind the Statue of Liberty. Busy at all times, you’d be forgiven for thinking you were in a Temple Bar pub whilst supping your drinks in O’Donoghue’s. The live music on offer here attracts people from all over the city, with such a high reputation preceding it; you may remember The Dubliners, widely regarded as the forefathers of Irish folk music, who actually started their careers in this very pub. It’s safe to say that the history of the building flows as freely as the booze in O’Donoghue’s joint. 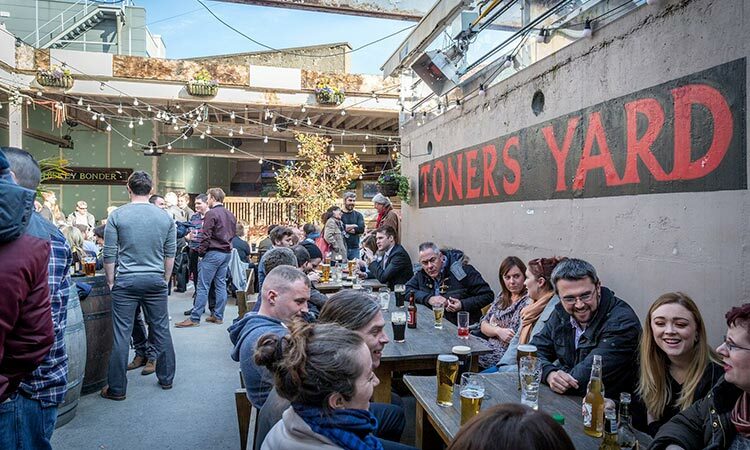 As with O’Donoghue’s, Toners is another Temple Bar-esque pub around Baggot Street. The award winning bar was voted Dublin Bar of the Year in 2015 and even boasts the Snug of the Year inside – perfect for a chilled out drinking session after a big one in Dublin. The outdoor terrace (Toners Yard) regularly reaches capacity, even throughout the cooler months, including a large celebrity presence. Toners has seen Mumford and Sons and the entire cast of Anchorman sinking pints of Guinness in its glorious yard. It’s also well known that Mr Boombastic himself, Shaggy, was caught red handed (it was him, we even caught him on camera and saw the marks on his shoulder) enjoying craic in the traditional bar area. 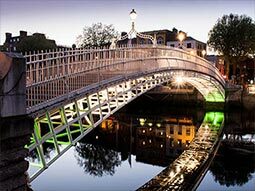 If you’ve read our Dublin’s Best Kept Secrets article, you’re one of the lucky ones in the know. 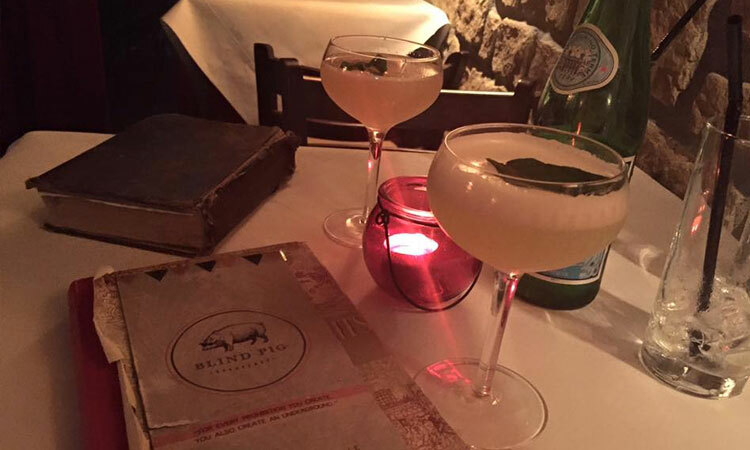 Regarded as one of Dublin’s hidden gems, The Blind Pig Speakeasy is the city’s most clandestine cocktail bar. Honouring the building’s past, this bar with its illicit undercurrent, is only accessible through a side door on to a back passage, where you’ll head through a red brick tunnel and will need a password to enter. Named after the police turned a blind eye to the illegal liquor trade during 1920s prohibition period, this speakeasy themed venue is a must for any quirky hen party.